BoatUS Members enjoy access to more than 25 benefits and services, both from the experts at BoatUS and through strategic marine-industry partnerships. We strive to help to make boating better by providing discount opportunities, expert advice, and helpful services like US Coast Guard Documentation and free MMSI registration. From our lobbying efforts on Capitol Hill to innovative programs from the BoatUS Foundation for Boating Safety and Clean Water, we’re continuously fighting for boaters’ rights and access to clean water. BoatUS Members receive speedy, courteous service from TowBoatUS. 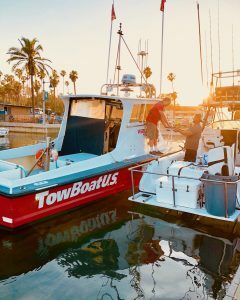 With 600 TowBoatUS towboats servicing over 300 ports, 24-hour dispatch ensures you’re never more than a phone call away from professional on the water assistance. Join BoatUS — The Boat Owners Auto Club® today!